Brandi Goldapp is the founder and owner A View Venues in Omaha, Nebraska. 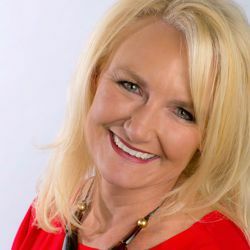 With three successful locations (West, Fontenelle Hills, and State), she has always had a passion for helping people produce an event they only dreamed possible. Britney graduated from the University of Nebraska at Omaha with a Bachelor’s degree in Marketing. While at UNO she became the president of the Student Marketing Association and developed a passion for working with others to plan and execute events. Brandi Goldapp is the founder and owner A View Venues in Omaha, Nebraska. With three successful locations, she has always had a passion for helping people produce an event they only dreamed possible. She began her entrepreneurial run with Wine & Roses, a company that created personalized wine bottles and roses to be an addition for every type of special occasion. When a bar in the bay next to Wine & Roses closed, Brandi and her husband Steve saw its potential and they scraped up everything they had to renovate and re-open the existing bar. The Goldapps owned and operated their successful sports bar and grill for 17 years before deciding to sell in December 2013. Brandi’s success has always been driven by her fearlessness and willing ability to jump in with both feet. Upon the discovery of an old, outdated country club in Bellevue, she decided to renovate and convert the building into a wedding venue because it “looked like fun!”, and A View in Fontenelle Hills was born. Two years later she was approached with the opportunity to open a second location 30 minutes away in West Omaha and A View West emerged. After operating two successful locations for four years, Brandi attained the knowledge and experience she needed to bring her third location to life. A View on State opened its doors in January of 2015 and this 18,000 square foot facility is unlike anything in the area as it was custom built to execute any type of event. 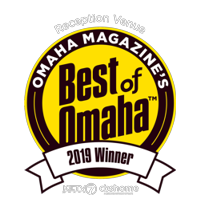 The completion of this facility makes A View Venues the largest independently owned venue business in Nebraska, and she couldn’t be more excited for what opportunities lie ahead. She has had the opportunity to speak nationally at Catersource and local NACE chapters making her a bonafide expert in the event industry. She’s also a proud member of Vistage, a private advisory board for CEO’s, presidents, and business leaders. In her spare time, Brandi loves to free-dive, play tennis, ride motorcycles/motocross bikes with Steve and their two teenage boys, Nick & Jay. Her perfect evening is dinner with her family then relaxing by their outdoor fire pit with A View’s official mascots and dynamic duo, Jozi and Lilah the labradoodle’s. 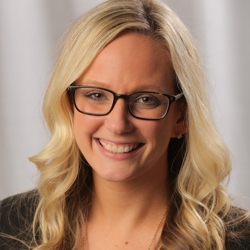 Britney McLaughlin Sales and Events Manager Britney graduated from the University of Nebraska at Omaha with a Bachelor’s degree in Marketing. While at UNO she became the president of the Student Marketing Association and developed a passion for working with others to plan and execute events. When it comes to planning weddings, her years of experience will shine through providing her clients a wealth of knowledge. Britney has facilitated over 500 events while at A View, which is obvious, with vision and expertise on every event. The experiences at A View Venues combined with her education, background in restaurants, retail, and public relations have allowed her to excel at planning all types of events from weddings to corporate occasions. When asked, Britney will often refer to her leadership position with A View Venues not as a “job” but as her passion. In her spare time, Britney enjoys playing softball, volleyball and golfing. Her perfect vacation is playing sand volleyball with her husband Travis on the beach, eating sushi and drinking wine.